Having a family – especially a growing one – means your choice of car is an incredibly important decision to make. Not only is it a big investment, but it also needs to suit your lifestyle and demands, whether you want the most economical family car or the most affordable. The good news is there’s a broad selection available, whether it’s a family hatchback, five- or seven-seater SUV or MPV or even a zippy electric model to keep your carbon footprint in check. Scroll down to see our selection of the best cheap family cars in a range of body styles. We've come up with two sensible options in each category, with a third alternative if you're after something a little different that's still affordable. 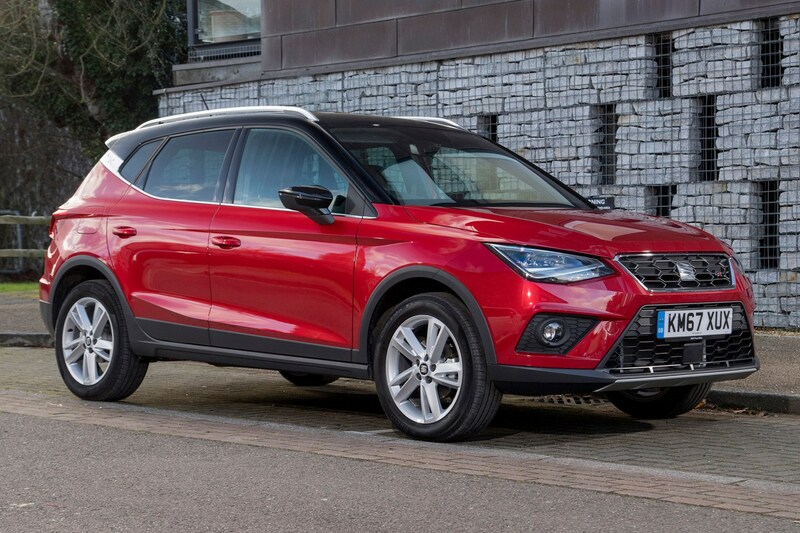 If you’re looking for one of the best small family cars, the SEAT Arona could be for you. It offers a compact footprint in an appealing crossover body style, with enough room to fit a small family and some luggage in its spacious interior. The boot offers 400 litres of room with an adjustable boot floor, which isn’t quite as big as a Citroen C3 Aircross’s boot, but it makes our recommendation here because it’s a much better all-rounder with a more user-friendly media system and better drive. Pick from a wide range of trim levels and efficient engines. 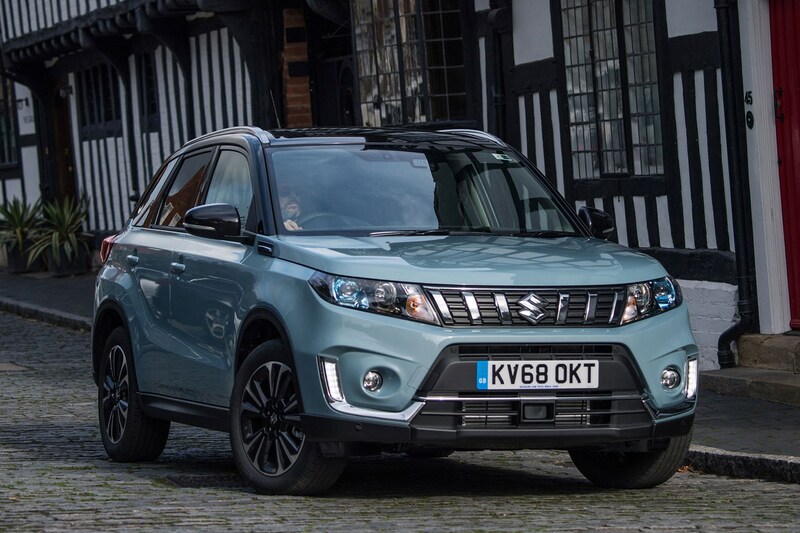 The Suzuki Vitara is a more rugged small crossover than most of its rivals, offering four-wheel drive on some models and genuine off-road ability. It feels like it could easily withstand the rigours of family life, offers just enough space for a small family and quite a fun drive at the same time. If you can get over it not having a premium badge, you'll find a car packed with kit that's excellent value on PCP finance, too. 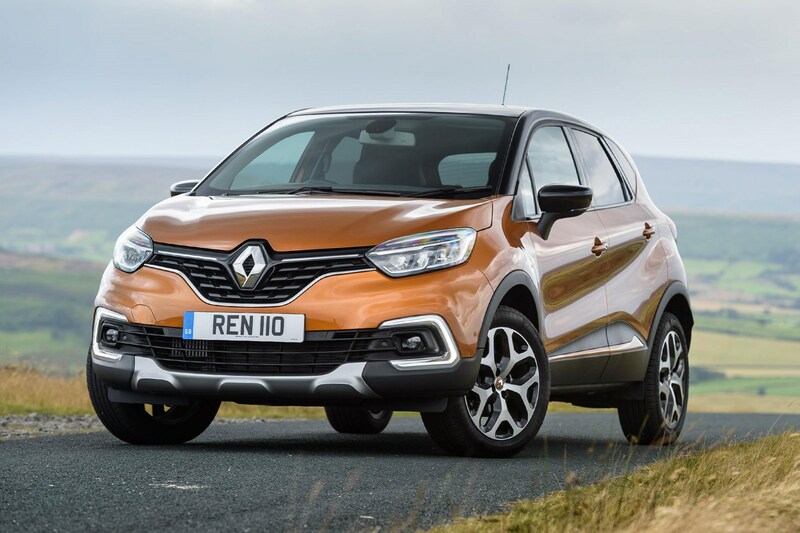 Similar in size to the Arona and Vitara, the Renault Captur is a stylish small crossover with a well-designed interior that offers more space than you might expect. The engines are frugal - if a little underpowered for regular trips on the motorway - and refined, making it an ideal small family car to nip around town in. Plus, you can unzip the seat covers and chuck them in the washing machine! 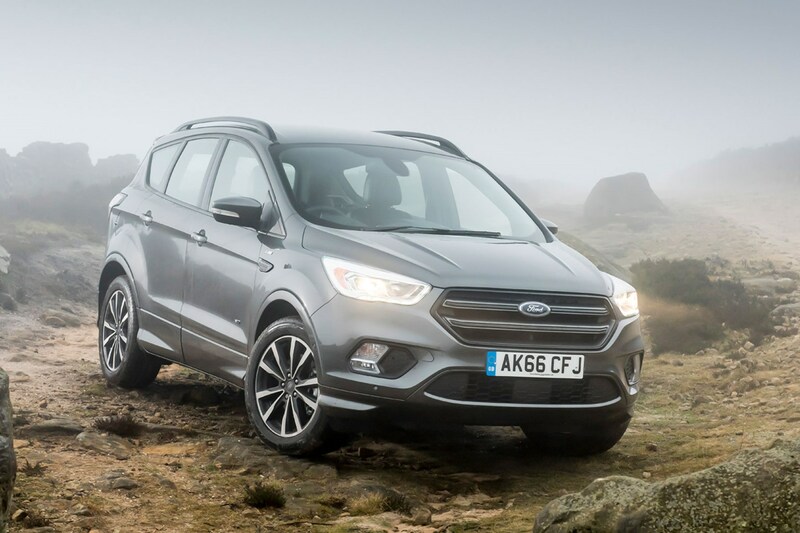 It's been around for a while now, but the Ford Kuga offers cracking value for money with low monthly payments on PCP finance, a well-built interior with plenty of room for a family, and a big boot. It also looks like a proper SUV with a high-up driving position and a very composed drive, meaning you shouldn't feel like you're compromising too much. The dashboard may look a little fussy compared with rivals, but it's easy to use, the touchscreen media system is bright and simple to operate and there's plenty of room. The engines available - a range of EcoBoost petrol and TDCi diesels - are all strong yet refined, and you get a lot of equipment for the money on pretty much any model in the range. 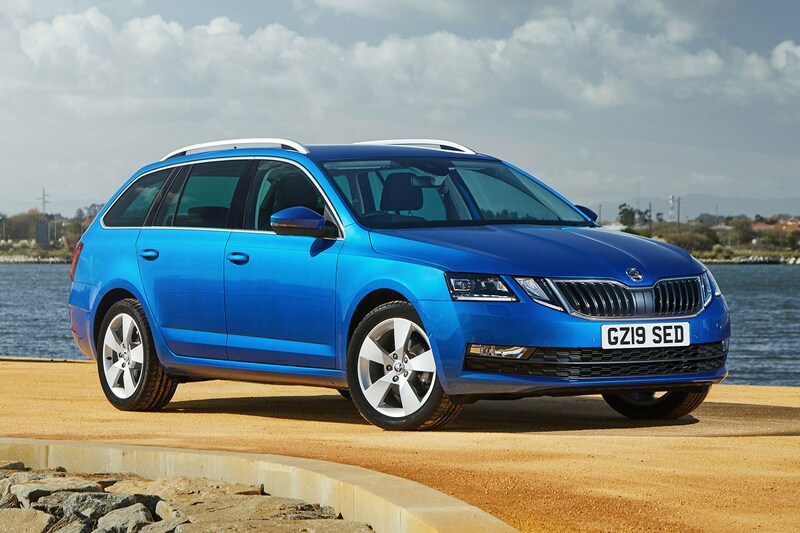 Skoda makes excellent family cars – whether it’s a five-seater family car or with space for seven. The Kodiaq is its largest model with a pair of seats in the boot that really boost its practicality. A great size for kids or the occasional adult, when folded into the floor they free up a huge 630 litres of boot space. If you choose a five-seat Kodiaq, this is up to 720 litres as there’s no third row to eat into floor space. With all seats in place, there’s 270 litres of space on offer, which is fine for the weekly food shop or a few bits and pieces, while room in the front and middle row is very generous, with a solid interior throughout. A huge range of models are available – whether it’s a sporty vRS or off-road-focused Scout, powered by a selection of strong engines. It’s very easy to drive and park too, and doesn’t feel intimidating, despite its large dimensions. 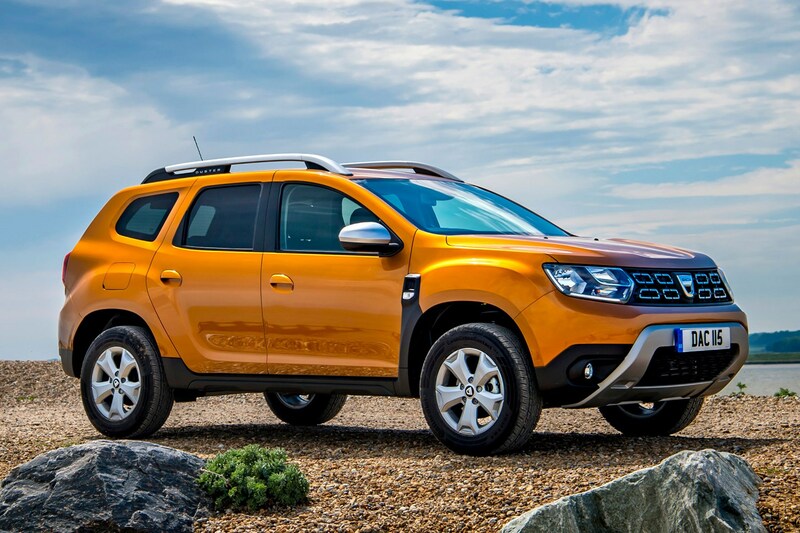 The Dacia Duster has the exterior dimensions of a smaller crossover, but with a more traditional SUV/off-roader look. Pound-for-pound it’s a great cheap family car as it costs a similar amount to a small hatchback, but offers a practical interior, a generous equipment list on higher-spec models and some impressive off-road ability should you feel so inclined. Inside, the dashboard is more utilitarian than expensive-feeling, but it’s simple and easy to use. Further back, rear seat space is generous and the 445-litre boot is well-shaped and easy to access. The higher ride height means it’s easy to get the kids in and out, and they get a good view out, too. You can’t go far wrong with a VW Golf hatchback. It offers a great image, a high-quality interior and a generous list of standard equipment for the money, as well as a very comfortable drive and a range of efficient engines – it makes the ideal small family car. There’s plenty of space in the back seats for child seats or older passengers, while its 380-litre boot is practical and comes with a neat underfloor storage area too. Every Golf is easy to drive and live with, with a user-friendly touchscreen and simple controls throughout. It’s an excellent all-rounder if you don’t need the extra space of an SUV or large estate car. 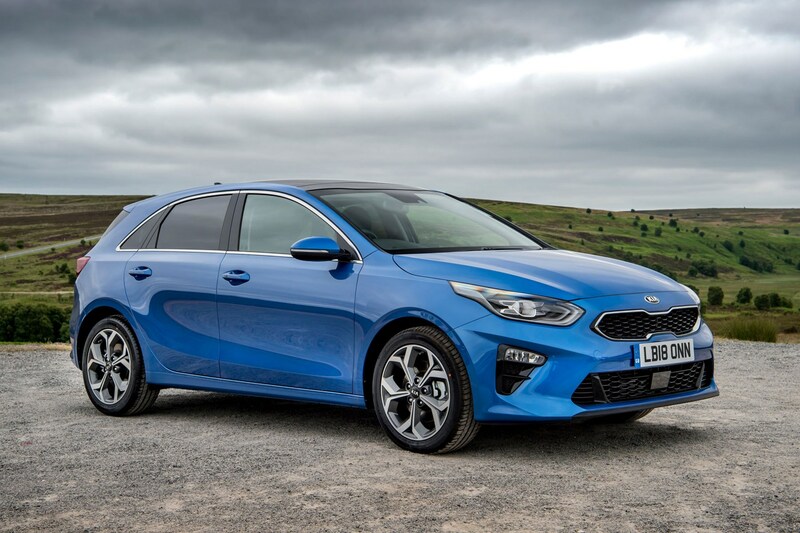 The Kia Ceed offers a 395-litre boot and a range of T-GDI petrol or CRDI diesel engines, with a smart interior that feels solid and comfortable. The Peugeot 308 may offer the largest boot at 470 litres, but it’s hard to recommend as a family car because the interior space just isn’t good enough. The Ceed, however, offers a spacious interior to almost match the Golf, with a generous standard equipment list and a relaxed, comfortable and refined drive across the range. High-spec models can be pricey, but the good news is even lower-spec models come with more equipment than equivalent rivals. 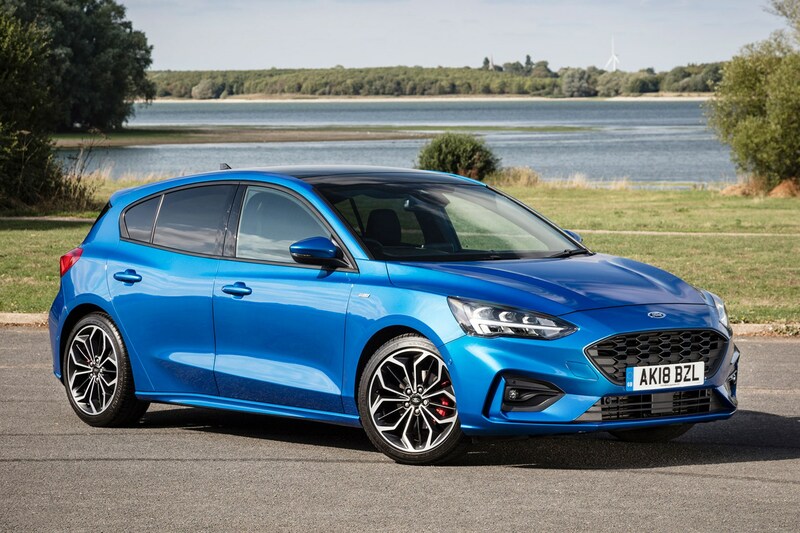 The Ford Focus is a common sight on UK roads, and it's easy to see why thanks to a family-friendly interior, plenty of engines and trims to choose from and an abundance of dealers ready to sell you one. The range can seem a little confusing because there are so many choices, so go for one of the EcoBoost petrols if you spend a lot of time in town. They're frugal and pretty punchy, and cost less to buy. A mid-range Titanium or ST-Line will have all the equipment you'd need. If you’re not one of the many buyers yearning for an SUV with a high driving position, the traditional large family hatchback is still one of the best family car options. 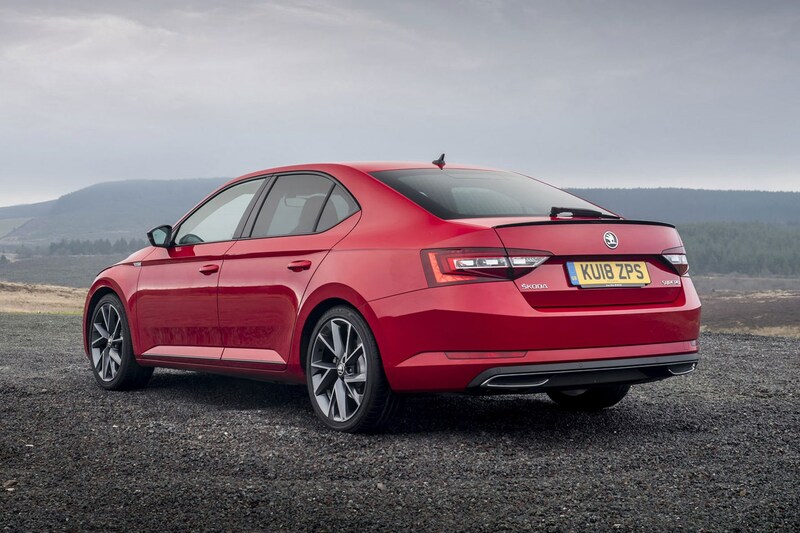 The Skoda Superb – in particular – is excellent value with an interior almost matching a large luxury saloon for space, while the boot is enormous at 625 litres. That’s just five litres short of the Kodiaq. It boasts a very relaxed and comfortable drive, a high-quality interior with ergonomic layout and some neat touches to make life a little easier such as an optional bin for the door pockets and extras for the boot to keep odds and ends in check. 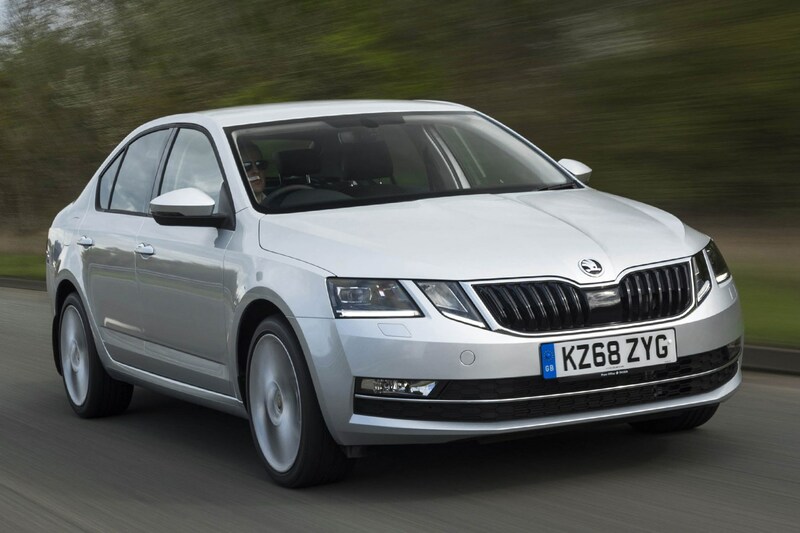 If you don’t need the sheer size of the Superb, thankfully Skoda also offers the Octavia. It’s actually based on the Volkswagen Golf, but somehow manages to pack in a vast interior with acres of space for passengers, kids and paraphernalia, as well as a 590-litre boot. That’s more space than a larger Ford Mondeo or Vauxhall Insignia Grand Sport, but comes with smaller exterior dimensions. Despite its low cost, it still feels solidly built and comes with the comprehensive kit list and engine options we’ve come to expect from Skoda. 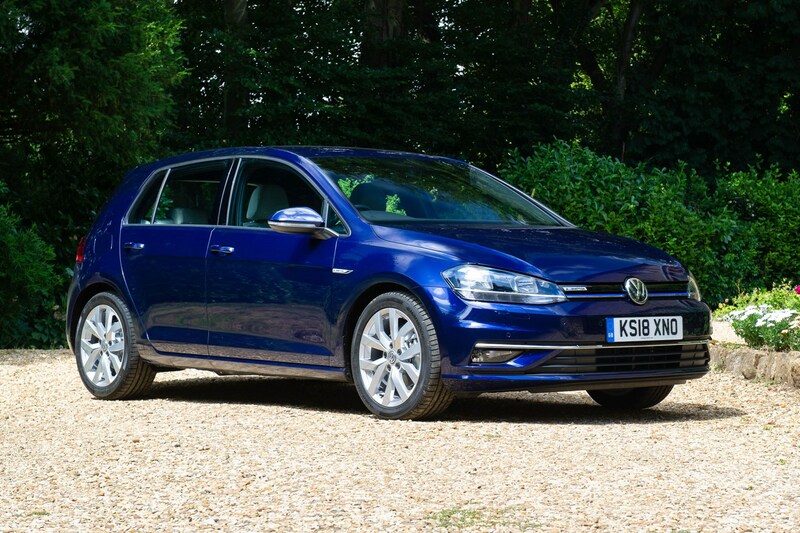 The sleeker alternative to the sensible Passat saloon is actually the more sensible choice as it has a large hatchback tailgate as opposed to a restricted saloon bootlid. 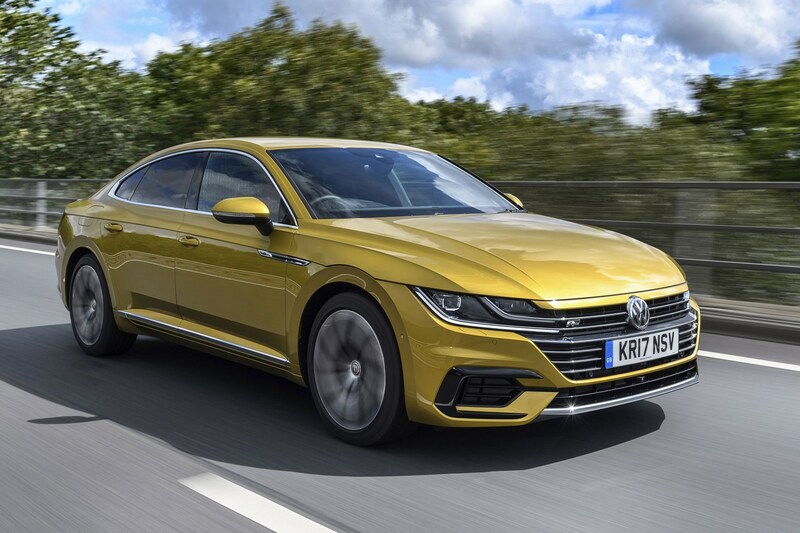 That means it's easy to access the Arteon's 563-litre boot, while the rear seat space is very generous and the rest of the interior suitably premium and high-quality that's packed with kit. 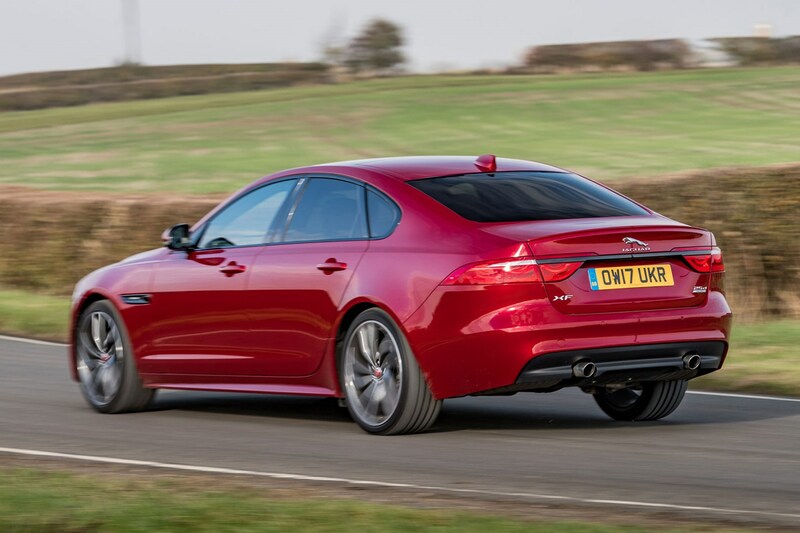 You’re not mistaken – the Jaguar XF really is a great-value family saloon thanks to some attractive PCP finance offers making it cheaper than many less prestigious alternatives. That means you get sharp styling, a hugely desirable badge and a modern, plush interior for a great price. Plus, the 540-litre boot is practical enough for most, interior space is generous and it’s also great to drive. For the best value XF, you’ll need a petrol-powered model which are powerful, although running costs will be higher than a diesel (but these cost much more per month on finance). Like the Jaguar, the Volvo S90 is a prestigious and luxurious saloon car that regularly boasts some appealingly low finance costs, meaning you can get your hands on a premium car for non-premium prices. 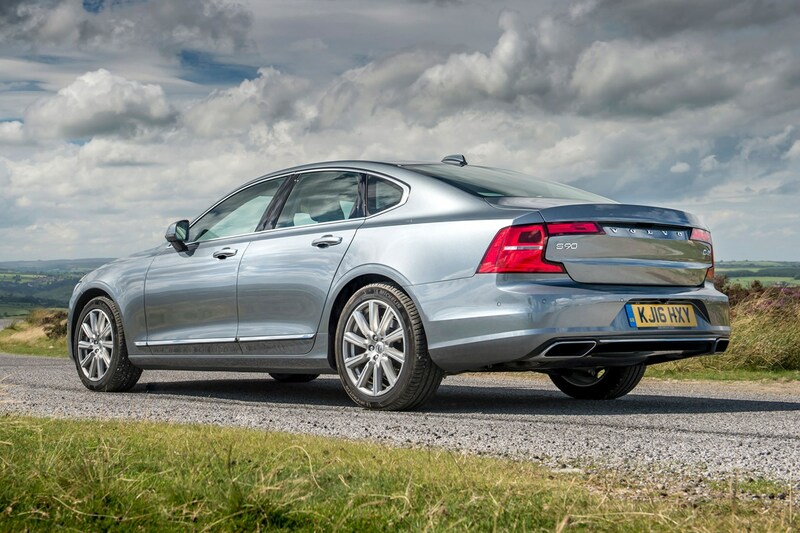 The S90 is a stylish and modern saloon with a tech-heavy interior and a very relaxed and comfortable drive, with vast rear legroom and a useful 500-litre boot. It’s also seriously safe thanks to several advanced pieces of safety and driver assistance technology, providing great peace of mind for families. 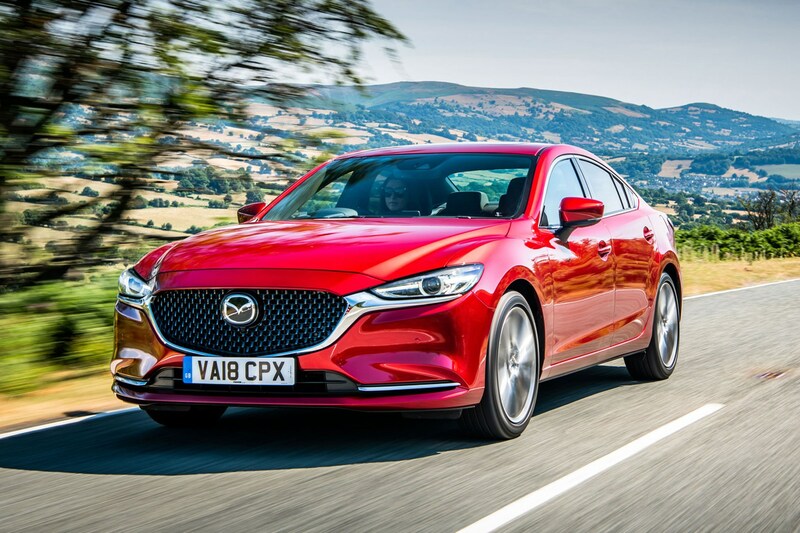 One of the few mainstream saloons left, the Mazda 6 represents great value thanks to tempting PCP finance costs, a great drive and a spacious interior that's bursting with equipment in higher trim levels. Stick with the petrols for the best deals, but all come with sharp styling and a well-built interior. 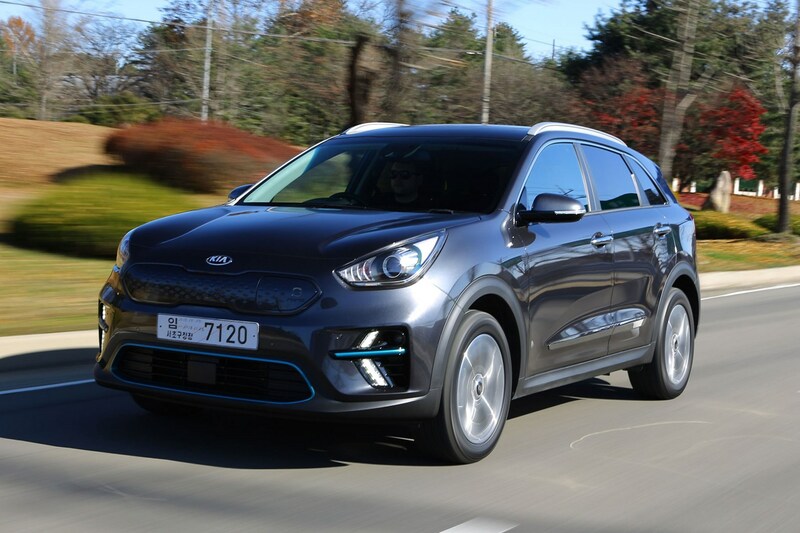 Sister car to our 2019 Parkers Eco Car of the Year – the Hyundai Kona Electric – the Kia e-Niro comes with one of the biggest boots of any electric family car, at a much more reasonable price than something like the Tesla Model S. At 451 litres, it’s actually bigger than a regular Niro because the battery pack is located beneath the rear seats instead of under the boot floor. And because it’s a practical crossover body style, it’s easy to get in and out of and there’s a generous amount of interior room. It’s packed with standard equipment, and will travel almost 300 miles on one charge if you’re not too heavy on the accelerator pedal. It may not look the most attractive electric car, with slightly odd proportions, but the large, tall body of the Nissan Leaf lends itself to a spacious interior and a 435-litre boot – making it an ideal electric car for families. The boot itself is a large size, but there are some awkward shapes and intrusions which will make it slightly less user-friendly to use if you want to chuck a lot of luggage in. 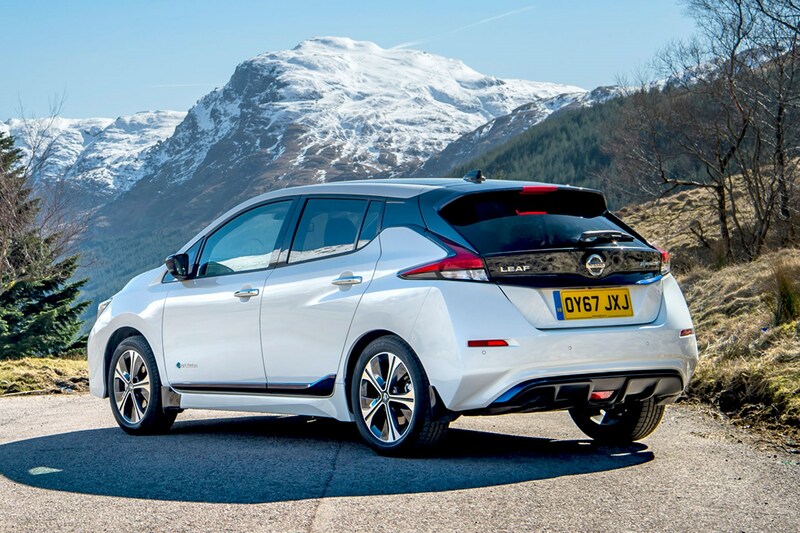 The latest version of the Leaf (called e+ 3.Zero) claims up to 239 miles between charges, so range anxiety shouldn’t as much of a problem as it used to be, while enhancements in 2019 to the car’s media system make it much more user-friendly. 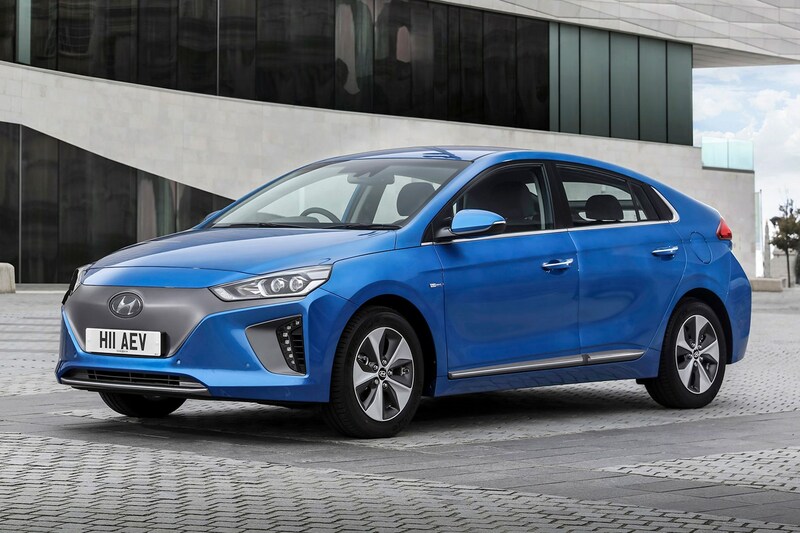 The Ioniq is available as a traditional hybrid, a plug-in hybrid and full-electric model, which claims around 160 miles on a full charge. It's very relaxing to drive thanks to silent running, comes with a high specification on either Premium or Premium SE models and also has a spacious interior that feels light, bright and airy. The boot isn't massive, but it'll be big enough for most small families and won't cost much to run. 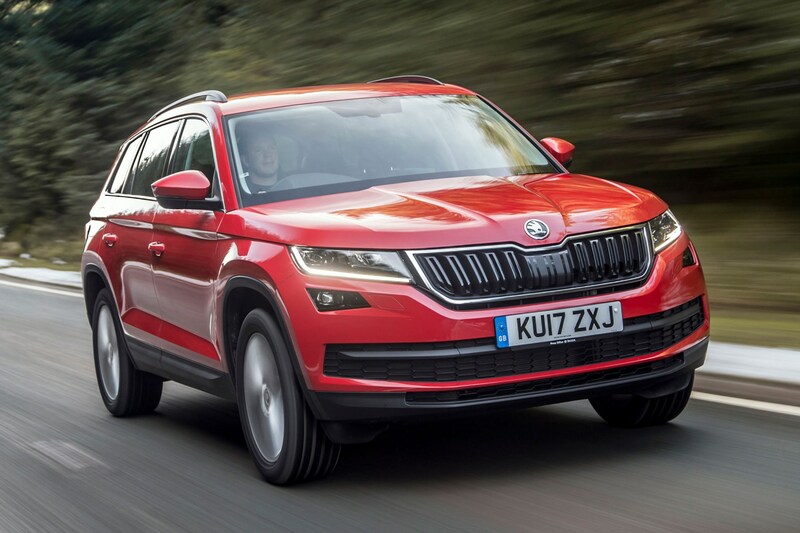 You may have spotted just how many Skoda models are in this list, and that’s because the Czech company makes great family cars. Getting an estate version of the affordable Octavia means you get an even more spacious interior with greater headroom, and a vast 610-litre boot at the back. If you want a bit more badge appeal, the similar VW Golf Estate offers 605 litres of space and a slightly plusher feeling interior. Or if you’re not interested in the Skoda, it could be worth looking at the Peugeot 308 SW – offering a huge 660-litre boot, extensive kit list and – crucially – much more rear seat space than the 308 hatchback. 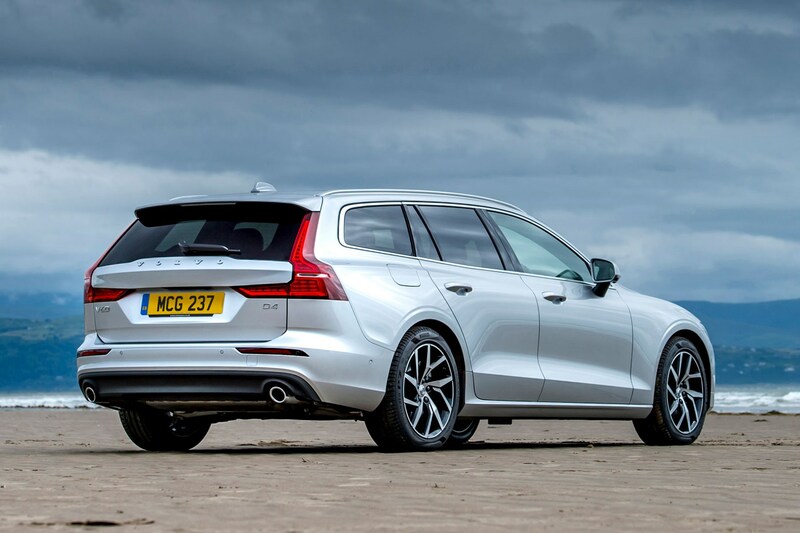 The V60 is another Volvo offering great value PCP finance – which applies to the larger V90 estate – but the V60 is a fantastic blend of space, value for money, luxury and size. It doesn’t feel enormous to drive like the V90 can, but it still offers a practical 529-litre boot with some clever touches to keep luggage in check, there’s easily enough room for five in the spacious cabin and it all feels luxurious, modern and very well built. The engine range is strong and economical for the most part, and it’s very easy to drive. There’s a reason it’s the Parkers Best Large Family Car for 2019. 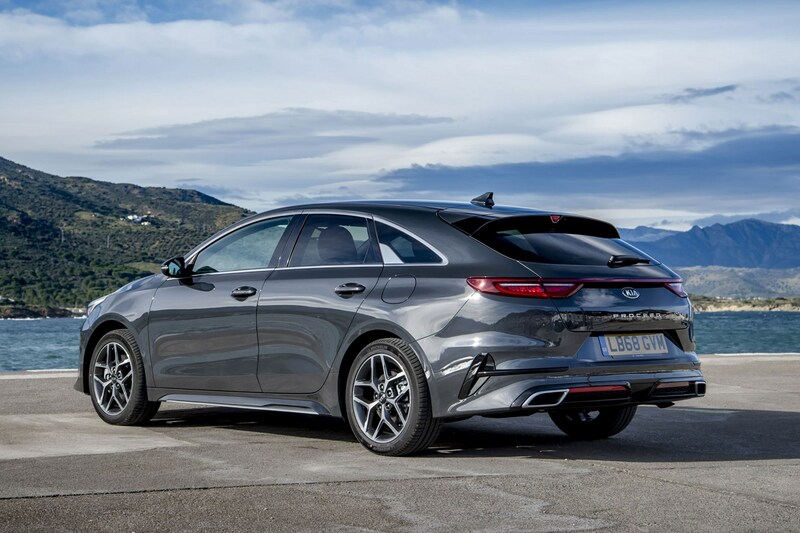 The ProCeed may look like a swooping coupe-like estate, but underneath that sleek rear end is a whopping 594-litre boot. Fold the seats down and there's not as much overall space as the two above, but if you don't really fold the seats down very often, the square, usable shape of the boot with the seats up is immensely practical, and there's a very generous amount of legroom in the back, too. It's also vrey good to drive, and good value on PCP finance. 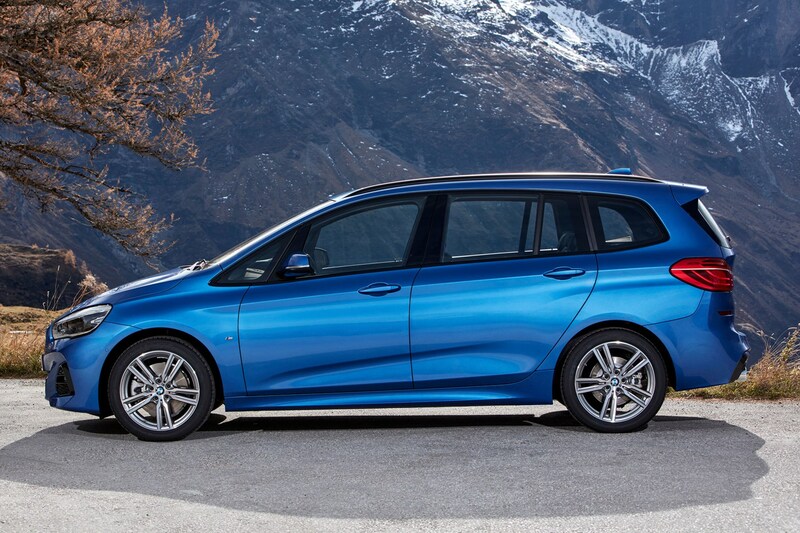 If you want the ultimate family car, your best option is often a more traditional MPV or a van-derived people carrier. 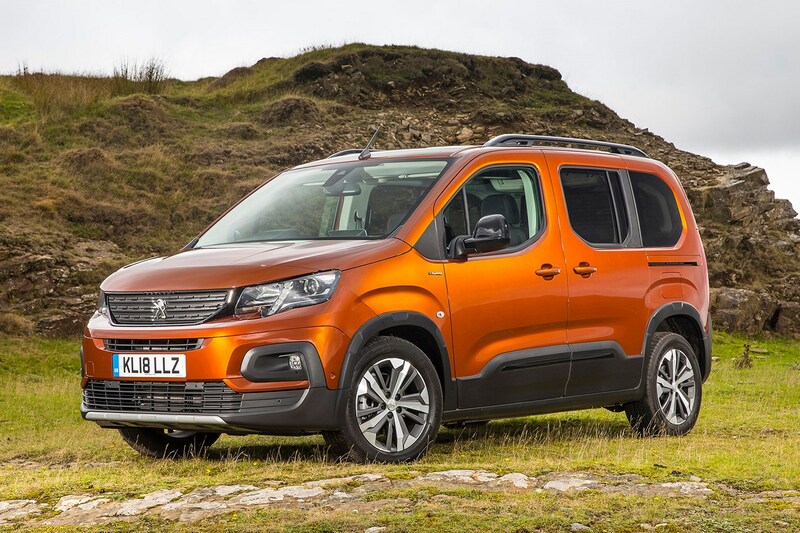 The boxy shape offers a huge interior with room for up to seven seats, and the Peugeot Rifter offers acres of interior space, up to seven seats and a huge boot. You can remove all the seats if you so wish, and a bright and airy cabin will keep everyone happy. It's also very comfortable and more refined than you expect, but you’ll have to be alright with the looks and the van-like feel. If you don't like this one, you can choose the Citroen Berlingo or Vauxhall Combo Life for a different look, but the same mechanical bits used underneath the body work. 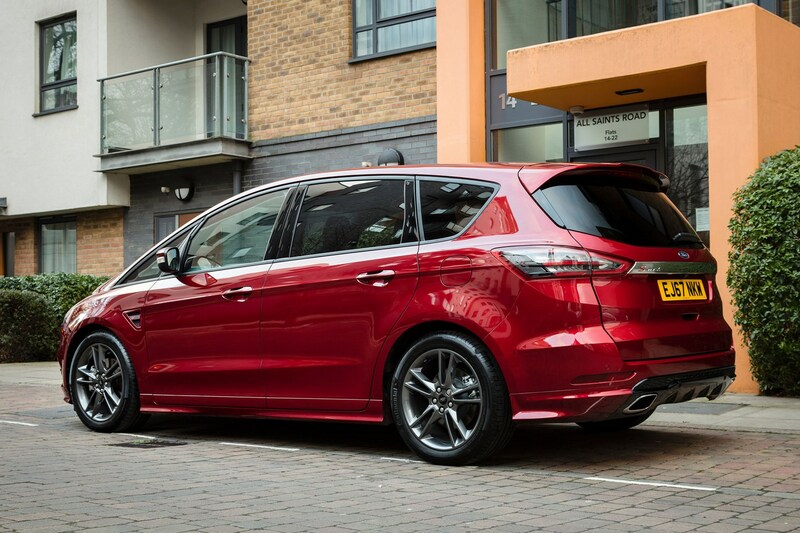 A more traditional MPV than fashionable SUVs is the Ford S-Max, but it still offers a sleek design for such a large car and doesn’t reek of taxicab like its Galaxy big brother. There’s room for seven in the comfortable cabin – with some of the best seats in the business up front. Individual seats in the rest of the cabin make it very flexible for families, and a range of powerful engines make it a great long-distance companion. If you don’t need the third row of seats all the time, they fold into the floor easily and offer up a huge 700-litre load area instead. While it isn't quite the full-on seven-seater, BMW's people-carrier is often great value on finance, and for the money you get an efficient family car with high-quality interior, flexible seating and the choice of some great engines that are cheap to run but also provide ample power. It's also pretty good to drive, plus it has a desirable badge. Just make sure it's big enough for your needs as the third row really is for small children only.